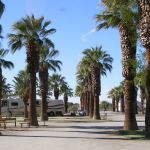 Ask fellow campers about "Sans End RV Park (55+ Park)" and nearby attractions. Great relaxing & safe place to stay. Refreshing pool & soothing hot tub. Fun activities. Friendly & helpful staff. Now with free wifi. Highly recommend. 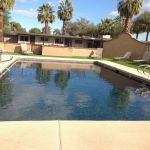 We camped at Sans End RV Park (55+ Park) in a Travel Trailer. Visit Colorado River & Yuma Territorial Prison. Yuma, Colorado River, and Mexico is 10 minutes away. 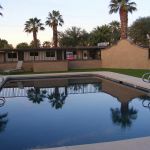 Yuma is just a stone's throw across the freeway with the usual big-box stores to choose from. There are a couple small, mom-n-pop liquor stores and markets right down the street, but I doubt they carry much more than your average 7-11. There's a decent casino just a couple exits up the freeway with some pretty ok restaurant options for a night out of the rig. If you want to pick up General Delivery mail at the Winterhaven Post Office, you have to go between 2:30-4:30 pm. The 'grocery store' in town has very little to offer. 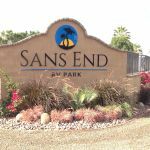 Are you affiliated with Sans End RV Park (55+ Park) ?